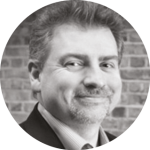 Head of Journalism, Media and Performance at University of Northampton. It was Facebook wot almost won it. After the 2015 General Election social media was decried as an echo chamber, endlessly reconfirming the biases of voters and candidates. In 2017, social media gave us the largest clues to the political earthquake that was underway. 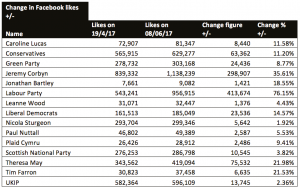 The energised supporters of Jeremy Corbyn and the Labour Party consumed large amounts of Facebook content. The party was able to mobilise support via the large numbers of people subscribed to their Facebook feeds and organically sharing their content. 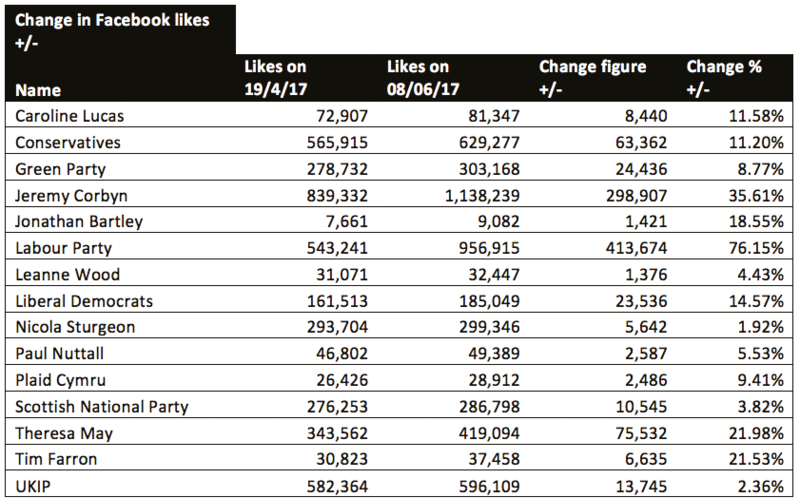 The huge growth in likes, compared to other parties and leaders, should have been an indication that something extraordinary was happening. The way the parties used Facebook was markedly different. There were some common characteristics. With little notice of the coming campaign, social media became a vital and reactive tool for all the major parties. They all used their Facebook feeds to promote their key messages, to provide explanations of policy and transmit statements and speeches from their leaders. The Conservatives feed displays a controlled attempt at messaging, at the start of the campaign there was rarely more than three posts a day. By the last weeks, post frequency had increased hitting a peak of seven posts on the 2nd of June. Positive messages, particularly about Brexit, were transmitted from Theresa May’s account. The main Conservatives page was used to house attack ads and other key messages. There was very little attempt to provide detailed explanation of policy and it was only following the pause in the wake of the Manchester bombing, that there was any attempt to create a positive tone. The party’s Facebook newsfeed provided a hub of content that supported targeted digital advertising delivered to swing voters in marginal seats. The Labour party feed was much more active, from the start regularly repeating key messages and content. This appears predicated on an organic rather than paid advertising model. The assumption being that significant sharing by supporters would have spill over impacts with undecided voters. The content of the Facebook feed was relentlessly positive; there were very few straightforward attack ads. Although an attack on Theresa May’s record on security and police numbers was one of the most shared social videos of the campaign. The content tended to be of two types. Explainers of policy or polished campaign videos focusing on Jeremy Corbyn or celebrities endorsing the party. The key topics were the NHS and the impacts of austerity cuts on people’s lives. While there was much cynicism in the media of Corbyn’s rallies, they had significant impact on Facebook. They were widely watched and shared. Their presentation of Corbyn as a successful and dynamic figure meeting crowds of people provided a contrast to the perception of Theresa May as a remote, cold figure who wouldn’t interact with normal voters. A Facebook live video of a Corbyn rally in Birmingham, where he shared the stage with Clean Bandit and the actor Steve Coogan, attracted 2.3m views – an astonishingly high number for a political Facebook live video. While there was some local media reporting of the rally, it made little impact on the national press. With the exception of the two terror attacks in Manchester and London, little news made it onto the Facebook feeds. There was no attempt to use Facebook, as the Conservatives did Twitter in 2015, to break stories. The response to the terror attacks was different. Following the shock of the bombing of Ariana Grande’s concert, the Facebook accounts went silent for several days. They’d only just begun to campaign again when the London Bridge attack took place. In its wake, the Conservatives, Labour and Liberal Democrats all used Facebook to highlight their policies on terrorism. Theresa May’s Downing Street speech of June 4th was posted on her Facebook page in full. Edited highlights of Jeremy Corbyn’s speech of the same day were also posted on his account. Both Labour and the Conservatives launched highly watched attack ads lambasting each other’s records on terrorism and national security. The use of video to communicate political messages on Facebook was popularised during the 2015 election and it was a key tool for all the parties, with the exception of UKIP who barely attempted any significant engagement with their more than 500,000 followers. This election also saw third parties engaging with political video. 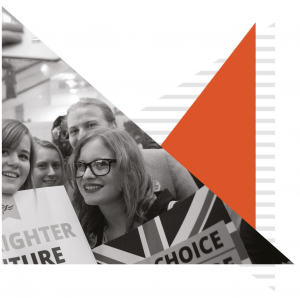 Most significantly, Momentum, who explicitly targeted the youth vote with satirical films and videos by credible political campaigners and journalists, such as The Guardian’s Owen Jones and the writer Paul Mason. 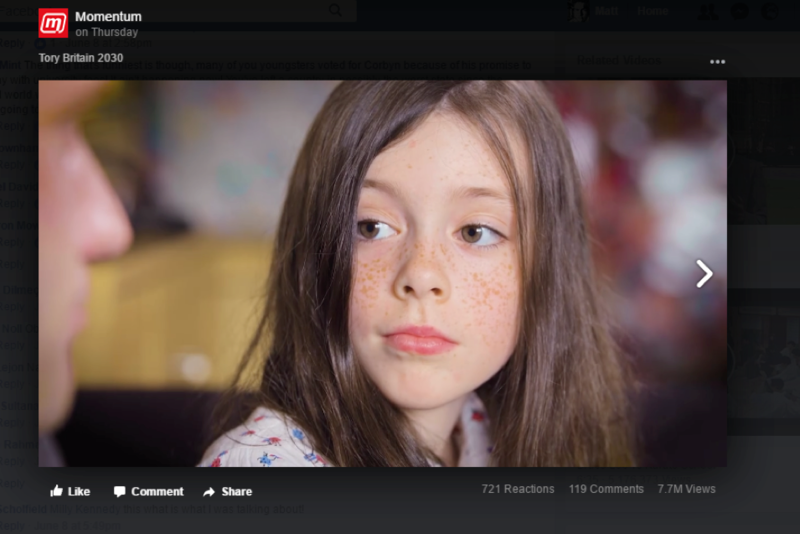 Some of these went viral and attracted significant viewing, Tory Britain 2030 was watched more than 7.5m times in the closing days of the election. In conclusion, during the 2017 General Election campaign the major parties carried out aggressive campaigns on social media. They made extensive use of video to try and communicate directly with supporters and floating voters. These had various levels of engagement but when they did connect with users high viewing numbers were recorded. But for the most part the campaigns tried to disconnect themselves from the news agenda, focussing on their talking points and key messages in an effort to disintermediate political journalism and the wider media. Given the settled view of the media establishment that the Conservatives were heading to victory, this policy seems to have been particularly successful for The Labour Party.